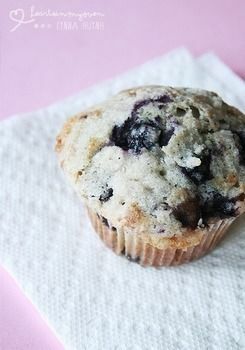 My favorite blueberry muffin recipe. Muffins: In the saucepan, over medium heat, brown your butter: Let the butter melt and when crackling has slowed down and butter is browned, transfer to a small bowl to cool slightly. Prepare your muffin pan while you wait for butter to cool: either use liners or spray it with cooking spray. In a medium bowl, using the back of a fork, mash 3/4 cup of the blueberries and set aside. Preheat your oven to 375F. In a large bowl with mixer attachment, combine 1 cup sugar and browned butter. Add the eggs, vanilla extract, baking powder, and salt. Mix until just combined. Add the mashed blueberries from earlier, mix until just combined. Add half of the flour (1 cup) and half of the milk (1/4 cup). Mix and repeat with the remaining half of the flour and milk. Using a rubber spatula, fold into the batter the remaining 1 3/4 cup of blueberries. Using an ice cream scoop, or spoon, spoon the butter into muffin pan 2/3 full. In a small bowl, combine 2 tbsp flour, 5 tbsp sugar, 1/4 tsp cinnamon, and 1/4 tsp nutmeg. Then, using a pastry cutter or two knives/forks, cut in 3 tbsp cold butter until coarse crumbs form. Divide the streusel evenly between the tops of the muffins. Lightly pat the streusel down.